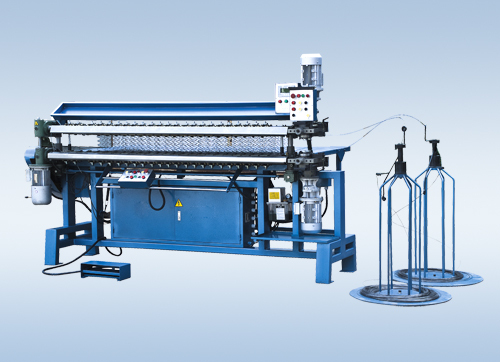 CW-200 machine is mainly used for assembling spring units with springs and helical wire. It is ideal equipment for producing mattress spring units and seat cushions. · Small in size, controlled by one person and cost-saving. · The parameters such as spring unit size, helical wire diameter, end coil diameter, spring height can be set within a certain range. · Can complete upper and lower assembling simultaneously. · Auto-cutting and clenching can be realized at both ends of helical wire. · Auto-advancing of spring unit, auto-stop when helical wire jammed. · Different jaws available according to customer's requirement.